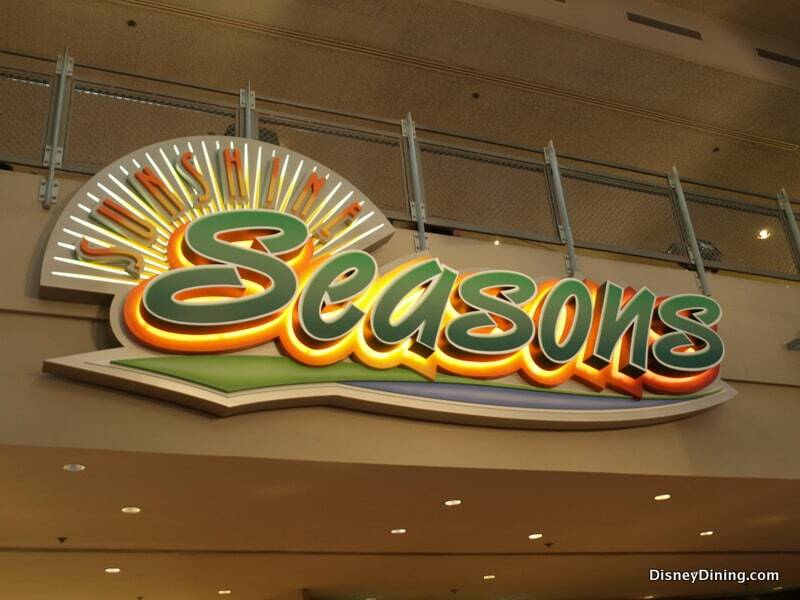 At Future World inside EPCOT, you’ll find the Sunshine Seasons Food Court at The Land pavilion. You’ve probably seen it as you’ve made your way to the Soarin’ attraction. It’s a large food court with multiple choices. Grab a tray and make your way to any one of several counters at which you can order your food. Servers will make your plate, and you take it with you to the cashier where you will pay before proceeding to a table inside the large dining area. Choose from pork plates, oriental cuisine, kids’ meals, fish tacos and more. There are even self-serve soda fountains where you can get your beverages. Most adults can eat at Sunshine Seasons for under $15, and kids’ meals are less than $10. A trip to the dessert and pastry counter will cost you an additional $5 to $6.